Over the last 29 years, the Seaways Group has worked hard to build a distinct brand as a trusted and reliable provider of logistics solutions spanning diverse service offerings. No wonder, we are today widely recognized and acknowledged for our vast experience and deep expertise in offering integrated and turnkey services in shipping and logistics domains. Spearheaded by the flagship company Seaways Shipping And Logistics Ltd., the Group has earned the reputation of providing cost-effective integrated logistics solutions with multimodal capabilities. We have a leadership presence in NVOCCs operations, with a well-established presence in South East Asia and Middle East markets. Our offerings include Container handling, Clearing & Forwarding, Line activities, Stevedoring, Vessel Agency, Customs House Agency, Liner Agency, Chartering & Brokerage, Warehousing and Distribution. To be a leading global company offering turnkey solutions in shipping and logistics, and international trading and providing high standards of quality services to all its customers worldwide. Capt. P V K Mohan is one of the Promoters and the founding Chairman and Managing Director of the Seaways Group. He has a Degree of Management and ancillary activities in Shipping from Royal Melbourne Institute of Technology (RMIT) University, Australia. He has qualified the Certificate of Competency examination as First Mate conducted by the Directorate General of Shipping, Government of India. Capt Mohan is a Master Mariner with 14 years of international sailing experience and has held the position of chairman of the National Shipping Board, Ministry of Shipping, Government of India. He is currently a member of the Nautical Institute, which is an international representative body for maritime professionals. He was the President of International FORCE Group, England. As the past President of International Billiards and Snooker Federation and the current President of Billiards And Snooker Federation of India, Capt Mohan has spearheaded the promotion and growth of Cue Sports in India. Parvataneni Sarat Kumar (Sarat) is one of the Promoters and a Whole-time Director in Seaways. He heads the Finance and Human Resources functions across the organization. A Graduate in Bachelor of Arts from Sri Venkateswara College, University of Delhi, Sarat joined Seaways since the company was formed. 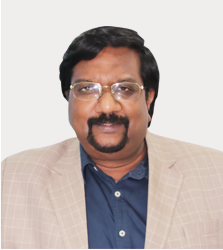 With over 27 years of experience in HR, Finance and International Trading, he also handles Corporate Social Responsibility initiatives of the Group and is the Secretary of Parvataneni Foundation (an entity set up for social and philanthropic activities). Parvataneni Vivek Anand (Vivek) is one of the Promoters and a Whole-time Director in Seaways, since 1994. He heads Marketing and Operations across the organization. A Graduate from the Institute of Hotel Management, Catering Technology and Applied Nutrition, New Delhi, Vivek also holds a Masters' Diploma in Hotel Management from Austria. 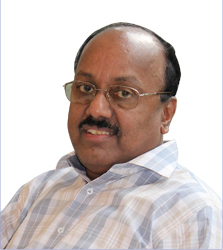 Mohandas Karunakaran Nair is an independent director of our Company. He is a 1974 batch IAS officer from Kerala cadre. 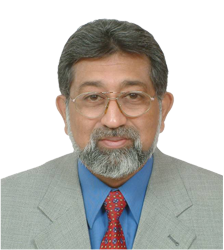 He has served as the Secretary in Ministry of Shipping from 2009 to 2012 and Secretary, Ministry of Overseas Indian Affairs from 2008 to 2009. He also worked as the Principal Secretary to Government of Kerala and as Secretary for Industries, Education and other departments of the Government of Kerala. Prasad Gadkari has completed his Master’s degree in Management Studies from Narsee Monjee Institute of Management Studies, University of Mumbai, in 1996 and is also a qualified Chartered Financial Analyst. He has 19 years of experience across private equity, project finance, mezzanine capital, investment banking and advisory. 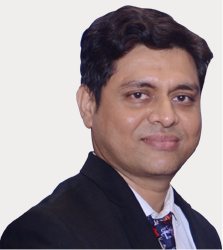 Anupam Ghulati is an independent director of our Company. He is a very well-known Sports Media Professional. He has over forty years of experience in the sports industry including broadcasting, management and marketing. He was the first executive director of Hockey India and was the Advisor Communications for the Commonwealth Games 2010. He was the member of the governing board of FIH Hockey World Cup 2010 and a member of the Rajiv Gandhi Khel Ratna and Arjuna Awards Selection Committee 2014 constituted by the Ministry of Youth Affairs & Sports, Government of India. 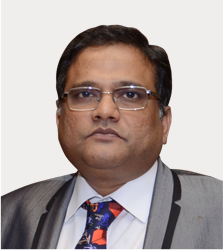 Dr. Tuktuk Ghosh-Kumar is an independent Director of our Company. She is a 1981 batch IAS officer from Government of West Bengal cadre. 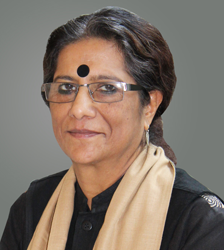 She has served in several key positions both in West Bengal and the Central Government. She retired in 2015 in the rank of Secretary to Government of India as its Financial Advisor. She holds a Master's degree in Philosophy and a PhD from University of Delhi. 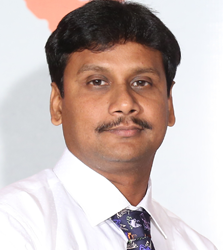 Raghu Ramaiah Kaveti is an independent Director of our Company. He is a 1979 batch IRTS Officer and has a total experience of 30 years in the Indian Railways and Ministry of Shipping, Government of India. He has got rich experience in the areas of logistics, transportation, planning, train operations, human resources, project management, financial management, construction, commercial and marketing. He has served as the Chairman of Paradip Port Trust for five years from 2005 to 2010. Parvataneni Vijayendra (Vijay) holds a Bachelor of Engineering degree (Hons) in Electrical and Electronics, from BITS Pilani. Vijay started his career in the Seaways Group when he joined Maxicon Container Line LLC, Dubai, in September 2007 as Documentation and Operations Executive. Later, he worked with Maxicon Container Line Pte Ltd, Singapore from 2008 to 2013 and worked his way up to Regional Manager of South East Asia and Far East. From late 2013 till early 2018, Vijay worked with Maxicon Shipping Agencies as General Manager in charge of Commercial and Operational activities, reporting to the CEO. He is currently the Deputy Head of the Freight Forwarding Vertical in Seaways. Vijay has played an active role in MANSA (Maritime Association of Nationwide Ship-Agents Association) as YMF (Young Mansa Forum) member and has been elected as YMF Chairman since then. Recently, he was nominated as MANSA Executive Committee Member and elected as MANSA Vice President for the period 2018 - 2020, making him the youngest member to hold this prestigious position. Murali Krishnaswamy (Murali) is the Executive Director - Group Strategy of the Seaways Group. He joined us in 2009. 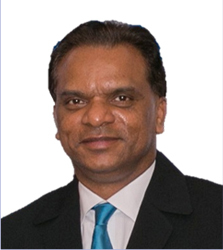 A member of the Institute of Chartered Accountants of India and the Institute of Cost Accountants of India, Murali has over 27 years of experience in shipping, logistics, retail, trading, process, manufacturing and service sectors. His professional areas of expertise are corporate finance, corporate strategy, international accounting consolidations, financial modelling, ERP implementation and corporate governance. Prior to joining our company, he worked with Vah Magna Retail, Visu International Ltd, Sona Breweries Plc and the Balaji Group in various leadership capacities. After working with the Aditya Birla Group, Murali worked in Africa for eight years, before returning to India in 2004 and has since been employed in international trading and retail companies. Capt. 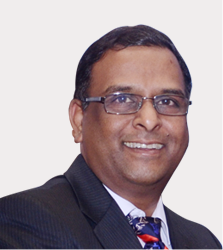 Satya Srinivas is the Chief Executive Officer of Maxicon Singapore and heads the NVOCC. He joined our Company in 2009. He holds a Master's degree in shipping and navigation from the Director General of Shipping, India. Capt Srini's experience includes handling of the liner activity of NVOCC business, project and sector planning for India's container feeder operations, coordination of coastal cargo movement in containers, chartering and brokering of handy-max bulkers and container feeders and liaisoning with all the mainline and feeder operators. Capt. Siddharth Shukla is the Vice President and head of the Bulk Cargo Vertical. He joined Seaways in 2008. He holds a Master's degree in Shipping from DGS, GOI and a Bachelor's degree in Nautical Sciences from University of Mumbai (1996). He helped in commencing bulk operations in Kandla, Mumbai ports and took lead in establishing our Offshore business vertical. T V Satish Babu (Satish) is the General Manager-Legal, Company Secretary, Compliance Officer and heads the Corporate and Legal Affairs in Seaways. He is also responsible for undertaking all secretarial functions, including ensuring compliance with various regulatory requirements applicable to the company. He joined us in 2012. 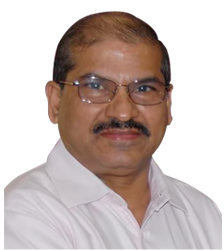 A fellow member of the Institute of Company Secretaries of India and a Law Graduate from Marathwada University, Satish has experience in managing statutory compliances and corporate governance. He was employed with Bodhtree Consulting Ltd, Avantel Ltd, Nile Ltd and EPTRI, prior to joining Seaways. 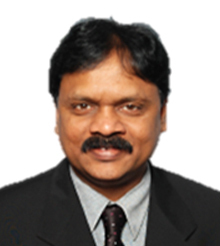 T Subramanyam (Subbu) is General Manager - Human Resources and Administration. He joined the company in 2008. Subbu holds a Masters' Degree in Human Resources Management from Symbiosis Institute of Business Management, Pune, and a Bachelors' Degree in Commerce from Andhra University. He has over 21 years of experience in managing and building HR functions across IT, Marketing, Logistics Services, Manpower Planning, Recruitment, Mentoring, and Employee Welfare. Prior to joining us, he worked with Tata Consultancy Services, Bajaj Electricals Ltd and Tanla Solutions Ltd.
Y S Narayan (YSN) is General Manager - Corporate Communication and is responsible for all branding and communication related activities across the Group. He joined the company in 2016. YSN is a Management Graduate from Madras University and his experience of over 34 years spans Advertising, Branding and Communications across IT, ITeS and Banking domains. His expertise includes handling Internal Communication, Marketing Communication, Public Relations, Digital Marketing, Executive Communication and Corporate Social Responsibility initiatives. He has international work experience too, having worked in the US and China for several years with MNCs like HSBC and Deloitte, among others. Prior to joining Seaways, YSN was the India Communications Lead in Microsoft India. V Lakshmi Narayanan (LN) joined the Seaways Group in November 2017 as Chief Financial Officer. He is a qualified Chartered Accountant with over 22 years of experience in the finance domain, including Finance & Accounts, Treasury & Payables, Forecasting/Budgeting and Business Controlling. LN has worked in large conglomerates across manufacturing, banking, BPO and logistics industries. 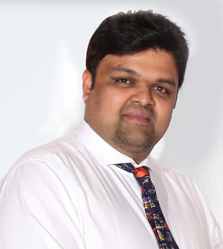 Prior to joining Seaways, he was heading the Business Controlling/Finance operations at DHL Logistics, Mumbai. 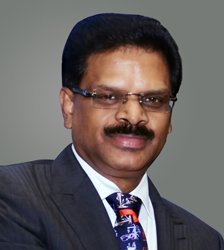 S Sathyanarayanan (Sathya) is the General Manager and Vertical Head of Seaways FTWZ. He joined Seaways in 2014. Sathya holds an MBA degree in Logistics and Supply Chain Management from National Institute of Business Management (NIBM), Chennai and a Bachelors' Degree in Mathematics from University of Madras. Sathya has over 22 y ears of experience in Warehouse Management, Supply Chain Management, Logistics Management, Commercial Management and Human Resource Management. Prior to joining Seaways, he worked with Oriflame Cosmetics, Scholastic India and R R Donnelley.